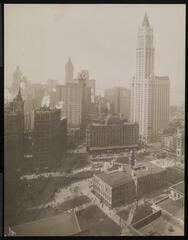 Museum of the City of New York - Parks, City Hall and Buildings. Parks, City Hall and Buildings. 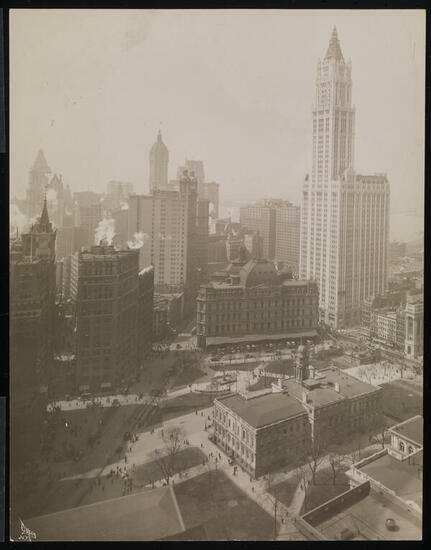 City Hall Park, City Hall and the Post Office; skyline beyond includes the Woolworth Building and the Singer Tower.